Dr. Mehmet Ozaslan is currently working as Professor in Department of Biology at University of Gaziantep, Turkey. 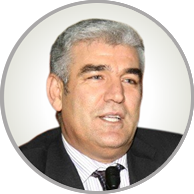 He completed his PhD in 1995 from University of Cukurova in Virology. His area of work includes Molecular Sciences, Microbiology, Transplantable to Tumors and Phytotherapy, Genetics, Biostatistics, Evolution and Biomedical Sciences. His responsibilities includes the Chairman of Molecular Biology and Genetics (from 2000), the Dean of education Faculty in Nizip (from 2010), the Member of Gaziantep University Senate and Board member (from 2010), Regional Coordinator of AOF (open educational system of Turkey) from 2008, and in Board Committee of many Faculties and Higher education institute and also responsible for some other local, regional or national missions. His prior work experience includes Vice Rector of Gazintep University, the advisor to the Rector, the founder of the Department of Biology, the Chairman of the Department of Biology (11 years), Regional Coordinator of examination system of Turkey, the Secretary General of subgroup of National Scientific Research and Commission of Turkey and ERASMUS Departmental Coordinator. 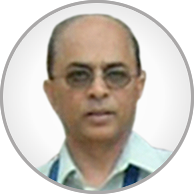 He has published more than 200 articles in International and National Peer reviewed Journals. He wrote a chapter “Social Life and Biodiversity Contribution of Organic Agriculture” in the book name Organic Farming Sector in not in the Sectoral, Strategies and Applications in 2006. He is also serving more than 10 journals as Editor/Reviewer. So far, Dr. Mehmet has produced 6 PhD and more than 40 MSc Scholars. Now-a-days he is supervising another 6 PhD and 4 MSc students, respectively. 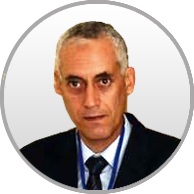 Dr. Aboul-Ata Elnady ABOUL-ATA, Professor Dr. of Plant virology, became the president of ArSV (Arab Society for Virology) in 2013 for 3 years. He was formerly Department Head of Plant Virus and Phytoplasma Research, Plant Pathology Research Institute at Agricultural Research Center, Giza, Egypt for 3 years and Head of Molecular laboratory at Plant Virus and Phytoplasma. In 2007 he has been awarded committee membership of Egyptian Society of Advanced Material and NanoTechnology. He is the General Secretary for ESV since 2014 for 3-year period. He is partner as ArSV president and keynote speaker for 3 successive international congresses. He is the author of more than 40 scientific papers in different approaches i.e. gene silencing, sequencing of viral genes. He is being the author of Chapters in different books i.e. Mediterranean Link Committee for Processing Tomato Research (MELCOPTOR) Book and Virus Diseases and Control in Arab World. He is being in charge of nanoscience introduction to the domain of plant virology at Plant Pathology Research Institute. He brings his research a unique relationship study between viruses and insect vectors. 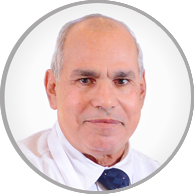 Dr. Aboul-Ata has been chosen for reviewing at different scientific journals in Asia, Africa, Europe and USA. He has been supervising two M.Sc. students to study plant vaccine against HSV-2 and MYSV epidemiology and molecular studies. He has been supervising two Ph.D. students on Corn stunt spiroplasma and Soy bean virus epidemiology. He is also involved in the committee member for scientific production evaluation to promotion Dr. Mohamad Shantanaweyat Al-Balquaa Applied University, Jordan on 2009 for Associate Professor Position. He has been a reviewer for BARD-funded research project on (Gene silencing as tools for functional genomics of grapevine). He has been attending conferences of plant virology and plant pathology in different European, American and Asian countries. He has been involved in different scientific activities i.e. visits, workshops, participating research projects and teaching as international collaboration. Dr. Aboul-Ata has been involved in different R&D activities. 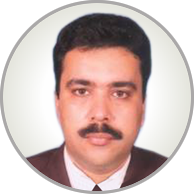 Dr. Aboul-Ata was Examiner Committee Member for Ph.D.qualification, M. Sc. and Ph.D. students at Faculty Agriculture Cairo University. A.E. Aboul-Ata is an evaluation-committee member for higher-scientific-position promotion at Institute of Plant Pathology, ARC, Egypt, 2008 up to now and also supervisor for some M.Sc. and Ph.D. students at Cairo University. He is serving as a reviewer, Editorial-board members and Editor for peer-reviewed scientific African, Asian and European journals. He is also reviewing and Evaluator for Original Manuscripts and Research Projects. He is organizing-committee member for ESV conference of virology. A.E. Aboul-Ata is an ACSE (Asian Council of Science Editors) member to facing unethical open access publications in collaboration with different international agencies and committees. Dr. Kuldeep Dhama, M.V.Sc., PhD (Gold Medalist) is working as Principal Scientist in Division of Pathology, Indian Veterinary Research Institute (IVRI), Izatnagar, Bareilly (UP) India. He did his schooling from New Delhi and graduation B.V.Sc. & A.H. (Hons.) in 1992 from G.B. Pant University of Agriculture & Technology, Pantnagar, and M.V.Sc. (1994) & Ph.D. (2002) from Indian Veterinary Research Institute. With 20 years of research experience in diagnosis, vaccines and control of important livestock and poultry diseases, working especially in the areas of microbiology, immunology, virology, biotechnology and molecular biology, has handled 16 Research Projects, Guided 14 M.V.Sc./P.D. scholars, has to his credit 600 publications in various National & International journals of repute, books, souvenirs, magazines, and 06 Books, 60 Book Chapters, 171 NCBI Gene Accession numbers (GenBank), and 300 other publications. He is an active member of 17 Professional/Scientific Societies, and honored with 45 Best Paper Awards. He has worked as Nodal Officer, WTO and is a Member, Wildlife Health Specialist Group (IUCN). He has been awarded as NAAS (National Academy of Agricultural Science, India), Associate-ship (Young scientist recognition award). 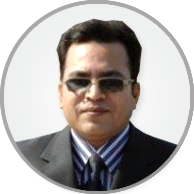 He is working as Editor/Referee of several National and International Journals/Magazines of repute. Abul Quasem Al-Amin, PhD is a Professor at Institute of Energy Policy and Research (IEPRe), Universiti Tenaga Nasional (UNITEN), Malaysia. Prof. Al-Amin is currently Head of ‘Energy Economics’ research wing at IEPRe and his research areas include in economic development and environmental modelling, green economy modeling, sustainable development with the interest to climate change and ecology major in ‘development and environmental economics’ and minor in ‘policy & modeling. He is currently associated with many research works at HAW-Germany, Springer USA, FORUMFOR FUTURE Singapore, Ministry of Natural Resources and Environment Malaysia, Malaysian Biotechnology Corporation, Economic Planning Unit Malaysia, Country representative of Malaysia to UNFCCC, Academy Science Malaysia, Economic Research Institute for ASEAN and East Asia and Sime Darby Malaysia. Prof. Al-Amin’s also associated earlier with the study of climate change research with NC-2 (Second National Communications of Malaysia), Asia Pacific network on Global Climate Change (APN), Institute for Global Environmental Strategies (IGES) Japan for APN’s research projects at Institute for Environment and Development (LESTARI), Universiti Kebangsaan Malaysia. Prof. Al-Amin is assisting countries, especially ASEAN in accelerating the transition to a low-carbon economy through enhancing policymakers’ capacity to promote green technologies, including renewable energy development, affordable access to clean energy for the poor, and support to industries and other economic sectors in adopting low carbon technologies. Teams of national experts and policy makers he assists be formed to work with the project team in developing and applying policy analysis tools, notably a country-tailored energy-economy-environment model for policy simulations. Prof. Al-Amin also serves as a regional climate change expert to United Nations (UN), Division for Sustainable Development (DSD) and the Development Policy and Analysis Division (DPAD) of the United Nations Department of Economic and Social Affairs (UN-DESA) on Supporting Asian National Governments in the Transition to a Low-Carbon Development Pathway. Apart from consultations, Prof. Al-Amin is severing academically as editors and deputy editors for several international scholarly journals. He has enormously contributed to various seminars, workshops and symposia in Malaysia and in other international platforms as an invited speaker. Prof. Al-Amin’s is presently a MSCP FELLOW, Department of Urban Studies & Planning, Massachusetts Institute of Technology (MIT), Boston, USA; Visiting Professor at Department of Geography and Environmental Management, University of Waterloo, Canada; Visiting Professor at School of Nature, Central University of Science of Technology, Bangladesh; and Visiting Professor at International Business School (IBS), Universiti Teknologi Malaysia (UTM), Malaysia. He was also Associate Fellow at Institute for Environment and Development (LESTARI), Universiti Kebangsaan Malaysia. He holds a degree in BSc and MSc in Science (Economics) from Jahangir Nagar University, Bangladesh and PhD from National University of Malaysia. S. M. Mostafa Kamal is a Professor of the Department of Mathematics, Islamic University, Kushtia, Bangladesh. He is the founder Chairman of the Department of Environmental Science and Geography at Islamic University. Mostafa Kamal received B.Sc. (Hons.) and M. Sc. from The University of Rajshahi and awarded P.hD. from Islamic University in 2007. He acted as a visiting Research Fellow at University of Malaya, Malaysia during 2013-2014. He has achieved Rockefeller fellowship for research to his scientific credit. He also acts as a P.hD. supervisor of a number of fellows. Mostafa Kamal has a background in Mathematics and Population Studies and his research focused on the social implications of demographic change and public health issues. His current research on demographic change and public health address the child marriage, fertility, maternity care, nutritional status of women and child with a particular interest in South Asia. Following her doctoral work in population studies Mostafa Kamal has combined academic research with external professional experts. He has produces a number of research paper in the prestigious journals around the world. He also presented his research works in many international conferences held in many countries of Asia, Europe, USA and Africa. Dr. Idris Abdullah Saleh Hamad Al Attiya is currently working as Associate Professor. He obtained his PhD in Molecular Evolution at Uppsala University in 2004. In past he has worked as Founder and Chairman of the Department of Botany, Faculty of Science (2005 - 2008), Dean of the People's Committee in Charge of the Faculty of Science, Assistant Secretary (Assistant Head) of the Union of the Faculty of Science and Engineering, faculties members and resources, Founder and Chairman of the Department of Microbiology, Faculty of Science at the University of Omar Radd. He has published 66 papers in scientific journals. He supervised 6 MSc students as Co-advisor. He also attended number of conferences. 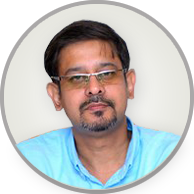 He is also an acting editor and member of editor board in number of international journals. He is member of following scientific societies, British Society of Plant Pathology, Phytopathologia Mediterranea, Phytopathologica et Entamologica Hungarica, Indian Society of Mycology and Plant Pathology, New Phytopathologist (International Journal of Plant Science (UK), Research Journal of Chemistry and Environment, Active Scientist Member at The Science Advisory Board, International Society for Molecular Plant-Microbe Interactions, Plant Growth Promoting Rhizobacteria (PGPR Newsletter), International Society for Fungal Conservation, European Mycological Association, International Society for Pest Information (ISPI). Dr. Shakil Akhtar is currently Professor of IT and Computer Science at Clayton State University. Before this he was the IT Department head from July 2007 to December 2008. He was a Professor in the College of Information Technology at UAE University from 2002 to 2007, where he served as interim Dean for the college during 2002-03. During 2000 to 2002, he was a Performance and Simulation Engineer at Lucent Technologies in Naperville, Illinois, where he was responsible for performance analysis and simulation of telecommunications equipment including third generation mobile systems. His prior work experience includes Computer Science/Engineering Departments at Central Michigan University, University of Toledo, and King Fahad University of Petroleum and Minerals, Dhahran, Saudi Arabia. 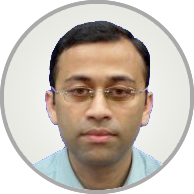 His main research interests are Reliability Modeling, Performance Modeling, CS/IT Education and Simulation of Computer Networks. He has a Ph.D. from Wayne State University in Computer Engineering, and M.S. and B.S., both in Electrical Engineering, from King Fahad University of Petroleum and Minerals, Dhahran, Saudi Arabia, and University of Peshawar, respectively. Prof. Dr. Mohamed Ahmed Mohamed El-Metwally is working as a Professor of Plant Pathology (Mycology) in Institute of Plant Pathology, Agricultural Research Center, Egypt from 1997 until now.As an author he has orginated more than 40 scientific quality reserch papers in different approaches i.e. seed pathology, biological control, systemic acquired resistance and mycology. 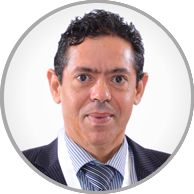 Dr. El-Metwally has been contributing as a Reviwer , Editorial-board member and Editor for peer-reviewed scientific journals of Asia and USA. In Faculty of agriculture and Faculty of Science of Mansoura University Dr. El-Metwally had been supervised 6 M.Sc. and 4 Ph. D. students having majors area of interset in systemic acquired resistance in different crops, as well as also from Faculty of Science in Damietta University. He always found actively participating in different scientific activities i.e. visits, workshops, participating research projects and teaching as well as in conferences of plant pathology and other Research activities. Dr. El-Metwally is an ACSE (Asian Council of Science Editors) active member. In addtion, he is also serving as member of Examiner Committee for M. Sc. and Ph.D. students at Faculty Agriculture, Mansoura University. Azhar Mateen, business and IT expert in cloud computing, is constantly working on innovative solutions for the education and health sectors. As a brand and marketing strategist, Azhar partners with CEOs, corporate executives, and solopreneurs, helping to grow their personal and professional brands, on a human-to-human basis. After spending nearly three decades working in IT, Azhar truly knows what it takes to build effective solutions in both technology and business, prioritizing customer conversions above all else. Azhar has worked with dozens of established organizations, as well as startups, improving multimillion dollar marketing strategies and reinventing brands from the ground up. Azhar is a trained business coach who works with scientific journals to improve their market impact, using the latest technology to establish a solid foothold in this increasingly competitive industry.